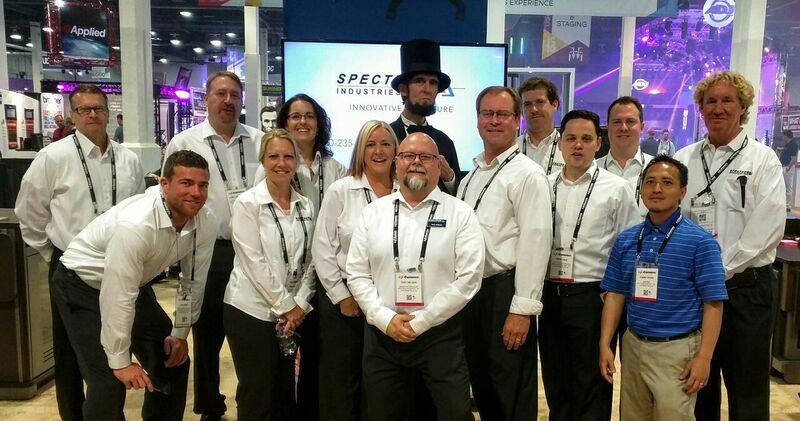 Abe Lincoln graced Spectrum with his presence during the three days of InfoComm 2016. 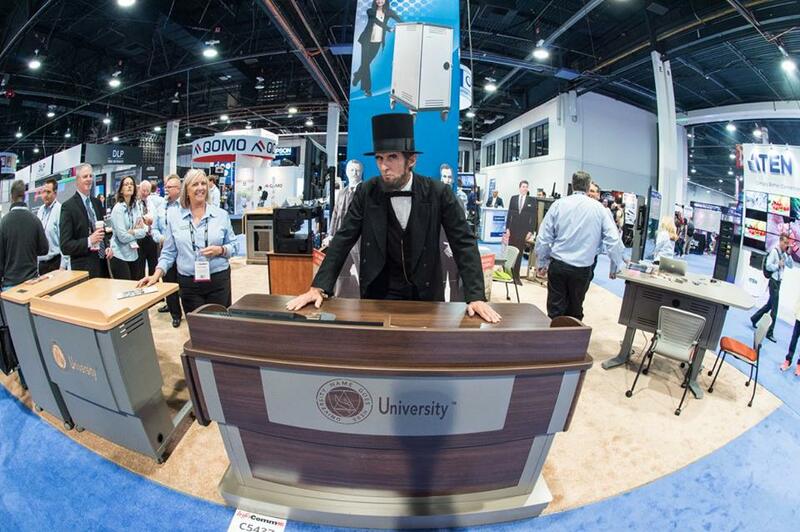 Abe gave a great speech during which he expounded on our momentous new Media Manager Series of lecterns. 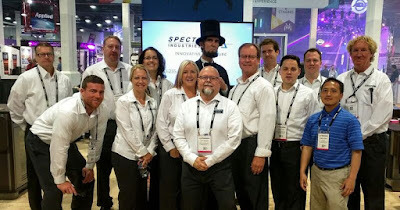 Two score and eight years ago, Spectrum’s founders brought forth innovative and high-value products to diverse markets. They were and are dedicated to the proposition that, while all people are created equal, all educational and corporate furniture is not. Now we are in the midst of a momentous convention to better learn about the latest AV technology. We are at a booth at that convention, one dedicated to providing AV-compatible lecterns and other furniture to academies of education and to free market enterprises. It is altogether fitting and proper that we should do this, for it is through the advancement of technology at school and work that we shall make the most of our opportunities for learning, collaboration, and the free exchange of ideas and images. It is in this last, most important of our contributions—toward the betterment of all learning and business environments—that Spectrum Industries dedicates its energies. It is to the free flow of information through integrator-friendly lecterns, tables, mobile device carts and more that Spectrum focuses its industry-leading innovations in design and manufacturing. For AV integrators and facility managers need not struggle to find perfect lectern solutions for any space or need. Indeed, those solutions stand before you waiting to be examined, along with Spectrum’s policy of free shipping with no minimums anywhere among the contiguous states of our great nation. And in a narrower sense, we might pause for a moment to consider the role of the Media Manager Series of lecterns. Its creation was, after all, Spectrum’s attempt to assuage the desires of customers and resellers for lecterns that retained similar features, functions, and appearance while offering an array of sizes. It was the requests of AV integrators and facility managers, the likes of which are here gathered at this great moment, which led to Rack Units that could be shipped separately for preemptive assembly at diverse locales, to front and back opening panels, and special security and safety features. And to ensure those created equal are indeed treated as equals, Spectrum has become the industry leader in adjustable height lecterns. Yes, the task ahead of you is great: to furnish your spaces with highly functional and attractive, AV-ready furniture that assists those who will use it in the world-changing tasks they engage in daily. Yet you have allies in this effort, and they are arrayed around us within this booth barely capable of containing their eagerness to assist you in your task. So seek out those who will guide you to your moment of epiphany, and speak with them about your needs. For it is not only possible but likely that those who get behind these fine lecterns will indeed change the world, and it will have been you who so united them with such an opportunity.